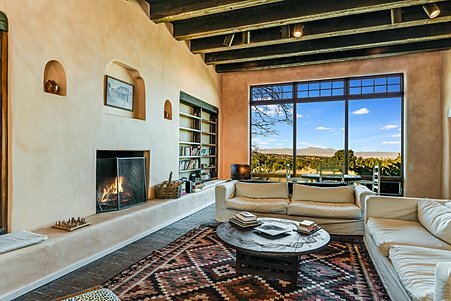 Offering spectacular mountain views, this elegant 4 bedroom, 4 bath home is nestled above the beautiful Tesuque River Valley on over 4 acres. 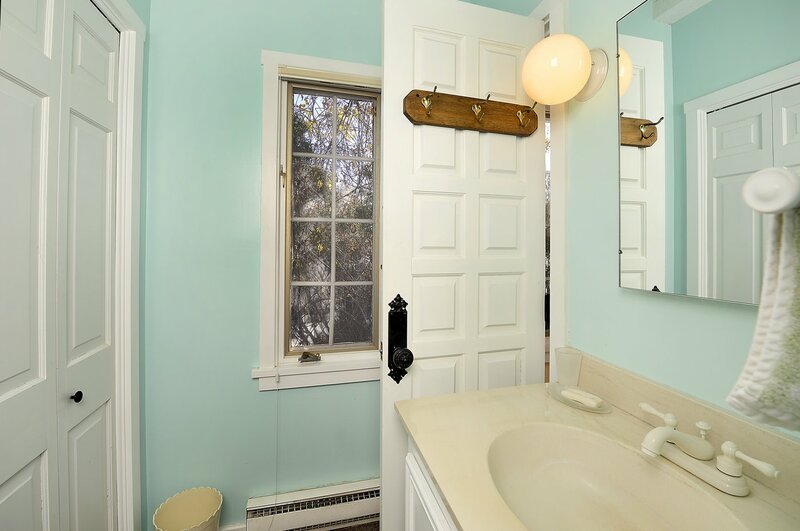 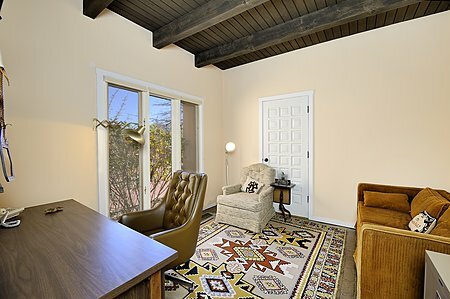 A stately wooden door lined with decorative tiles welcomes you into the long gallery-like foyer. 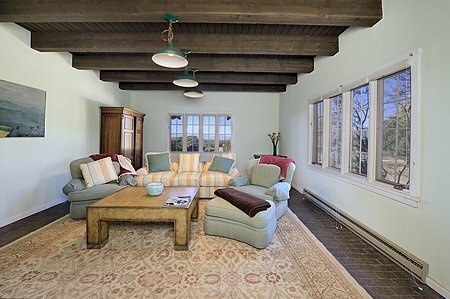 At the heart of this home is a spacious, light-infused living room with 13-foot beamed ceilings, an over-sized fireplace and built-in bookcases. 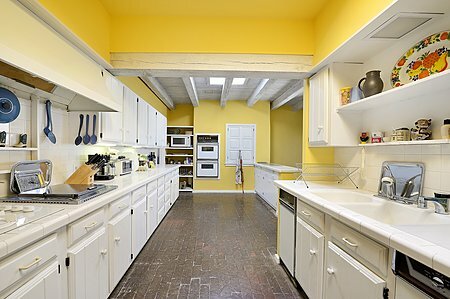 Entertain in the separate dining room with majestic western views, or outside on the large, portal-covered patio. The fully-appointed kitchen features custom cabinets, peninsula counter, a built-in gas cooktop, compactor, double oven and skylight. 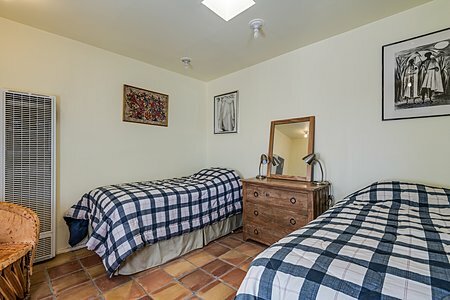 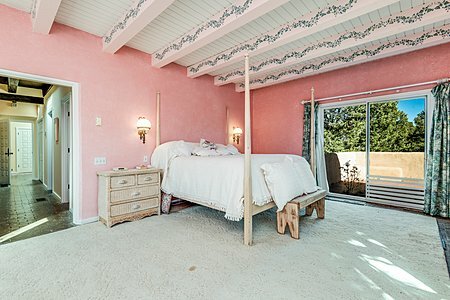 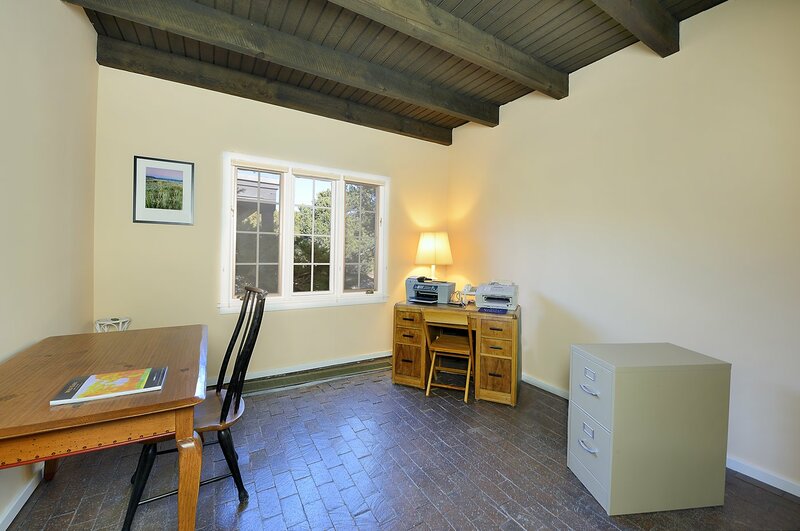 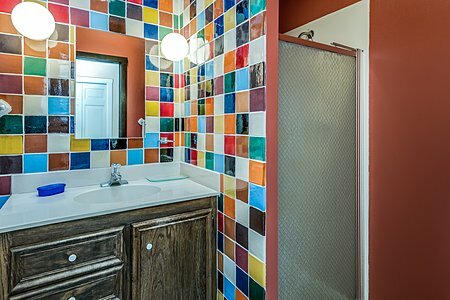 With its den, study, and 3 guest bedrooms, this home has room for everyone! 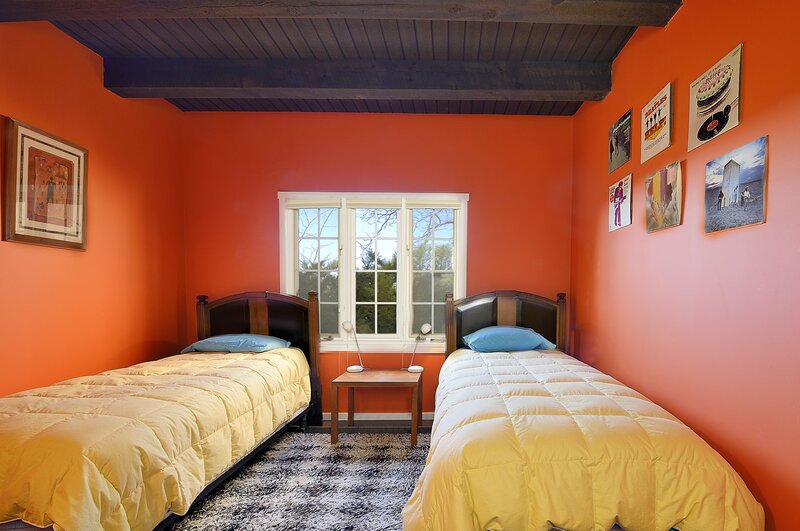 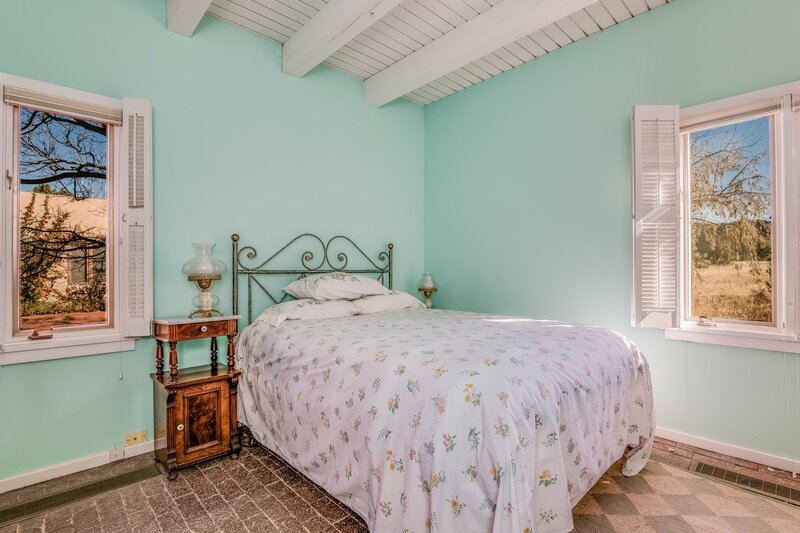 A large master suite with its own walled patio and dual bathrooms is graced with beamed ceilings and traditional brick floors, which are found throughout. 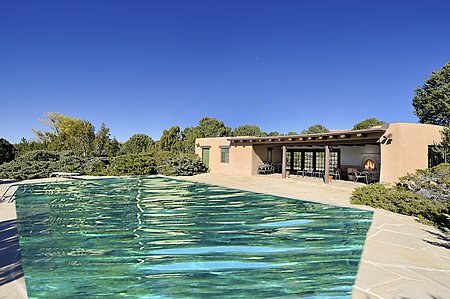 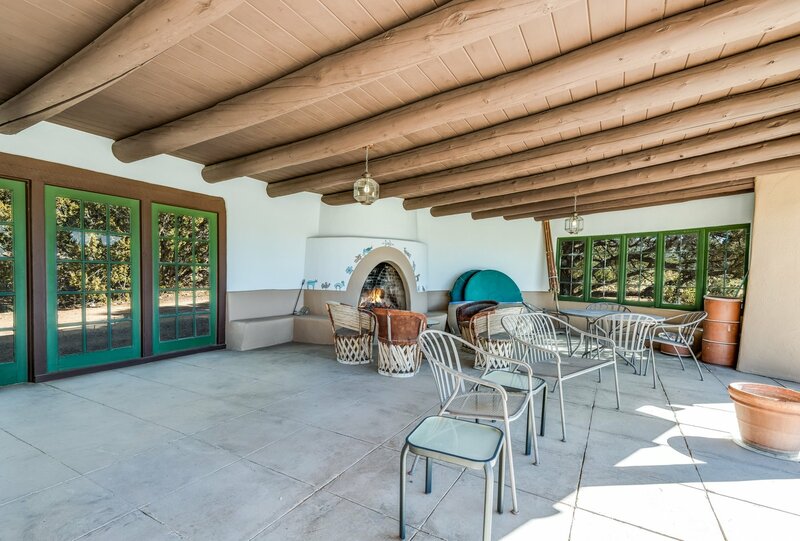 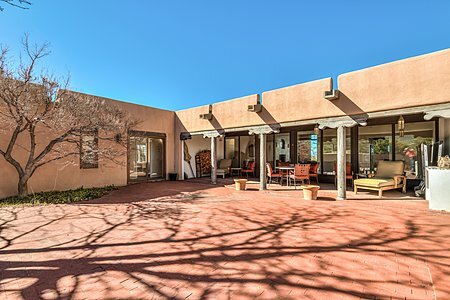 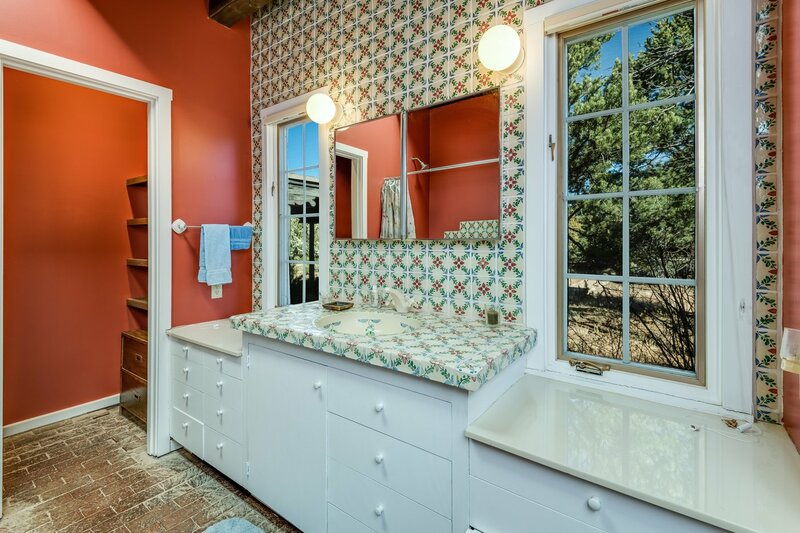 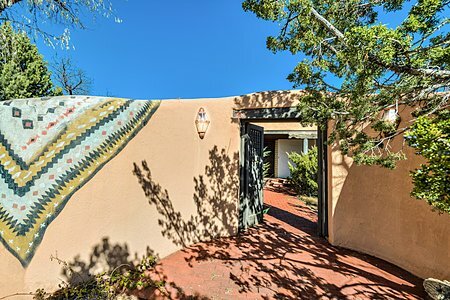 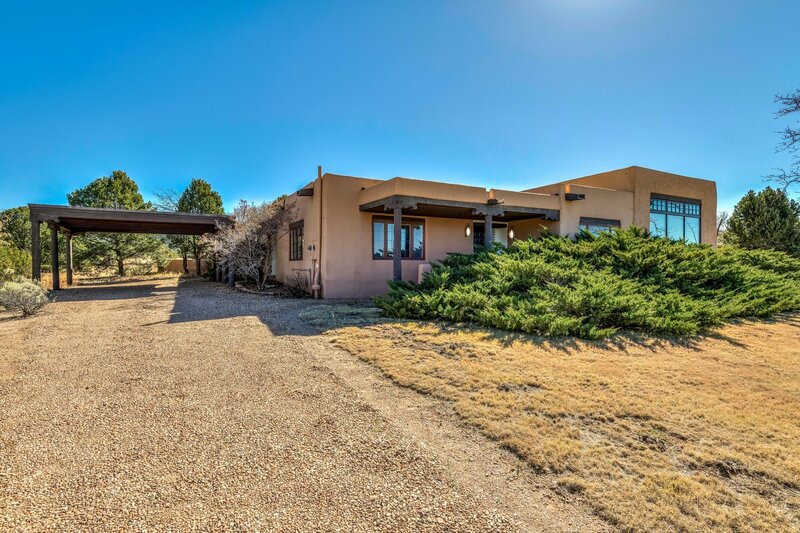 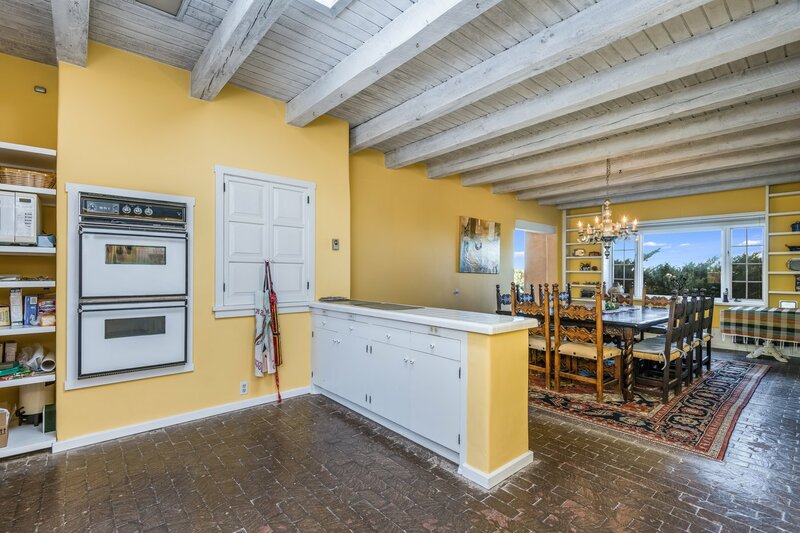 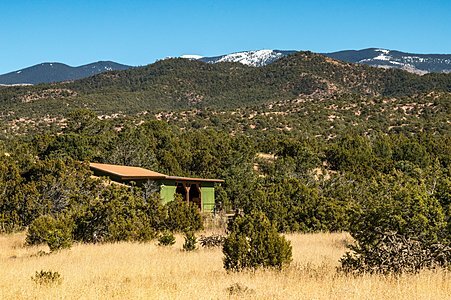 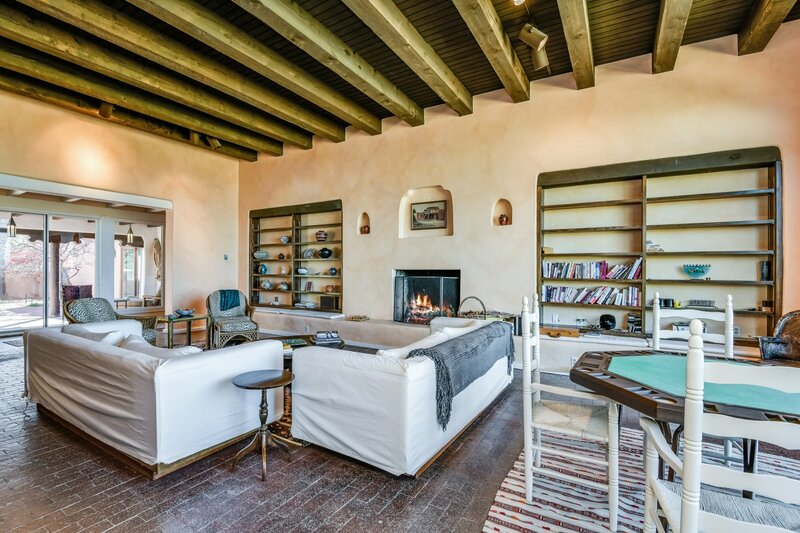 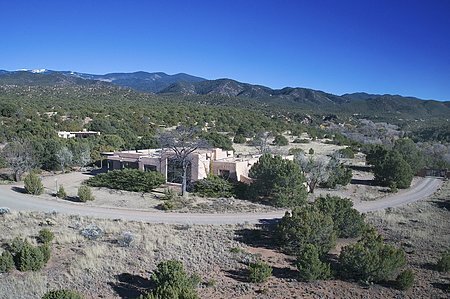 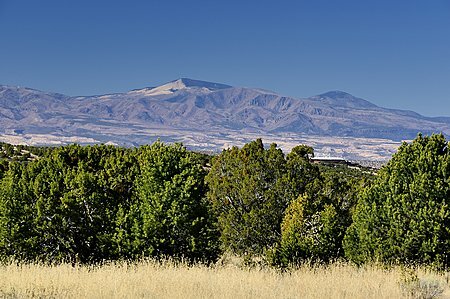 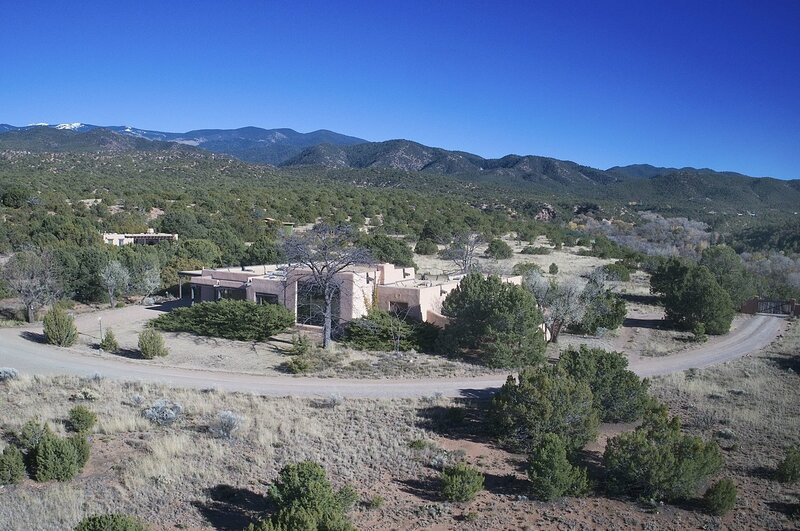 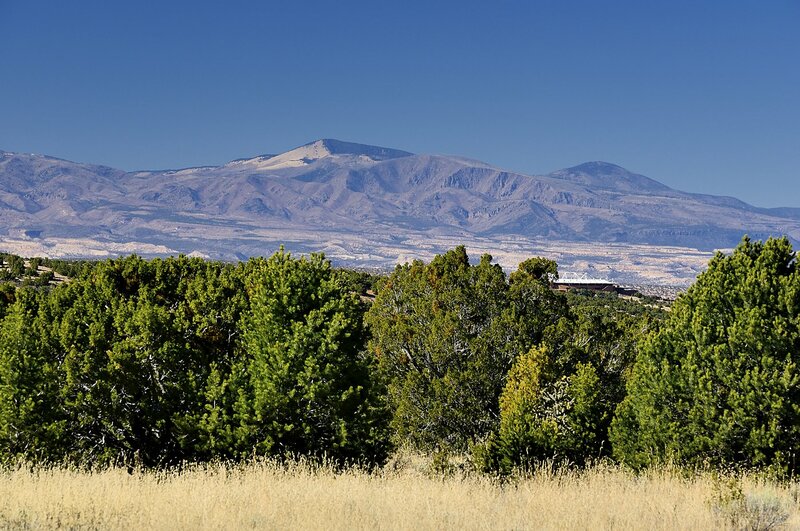 Bordering the Santa Fe National Forest with mature landscaping, drip irrigation, a double carport and ample guest parking, this home offers extraordinary living inside and out. 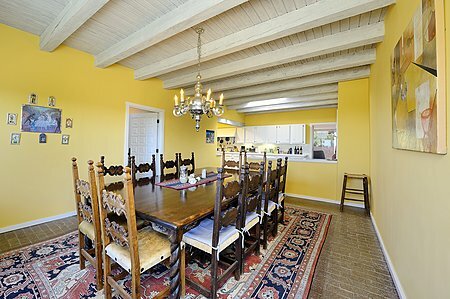 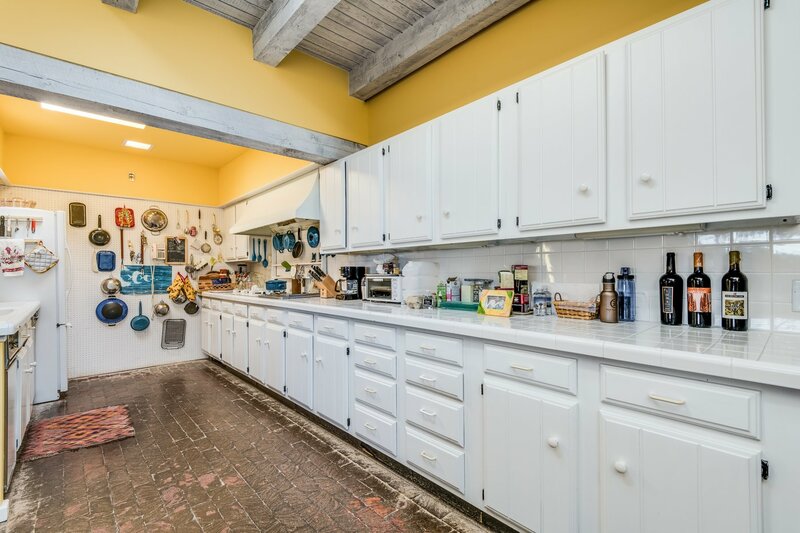 With one-third ownership in almost 11 acres of a common area with stables, a full-time resident caretaker plus one-half ownership of the swimming pool, this lovely property boasts gracious estate living, only 15 minutes from the historic Plaza.